Mumbai: A Mumbai Hospital has found itself bereft of Rs 30 lakh after a unknown criminal(s) robbed it of the said money using fake cheques. Mid-day reports that Rs 30.91 lakh has been moved out of the Rajiv Gandhi Jeevandayee Arogya Yojana (RGJAY) account of Gokuldas Tejpal (GT) Hospital using a series of fake cheques by someone who forged the signatures of the medical superintendent of the hospital. It is added that original cheques are still in possession of the hospital. An FIR has been filed by the former MS of the hospital, Dr Dattatray Kulkarni, who reported that the fraud occurred in relation to the RGJAY account of the hospital, whose chequebook was in his possession as the MS is the only one authorized to make the withdrawal. 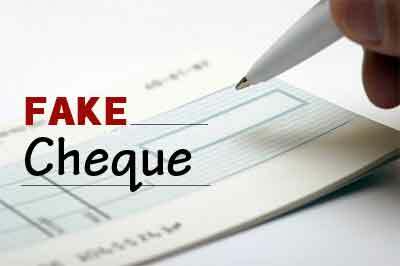 “For any kind of cash transaction, we use cheques. Our old chequebook got over and we applied for a new one on June 18, 2016. Within 15 days, we got new chequebook through post. The book had 50 cheques out of which we had used only 14 as of now,” Dr Mukund Tayade, the current medical superintendent of Gokuldas Tejpal Hospital told mid-day. It was later revealed that the number on the cheques used to withdraw the said cash matched the number on the unused cheques still lying with the hospital. Police also informed that many cases have been reported in the area with conmen making fake cheques with real numbers and using them to make withdrawals from accounts. An FIR has been lodged against unknown person(s) under sections 420, 465, 467, 468 and 471 of the Indian Penal Code.